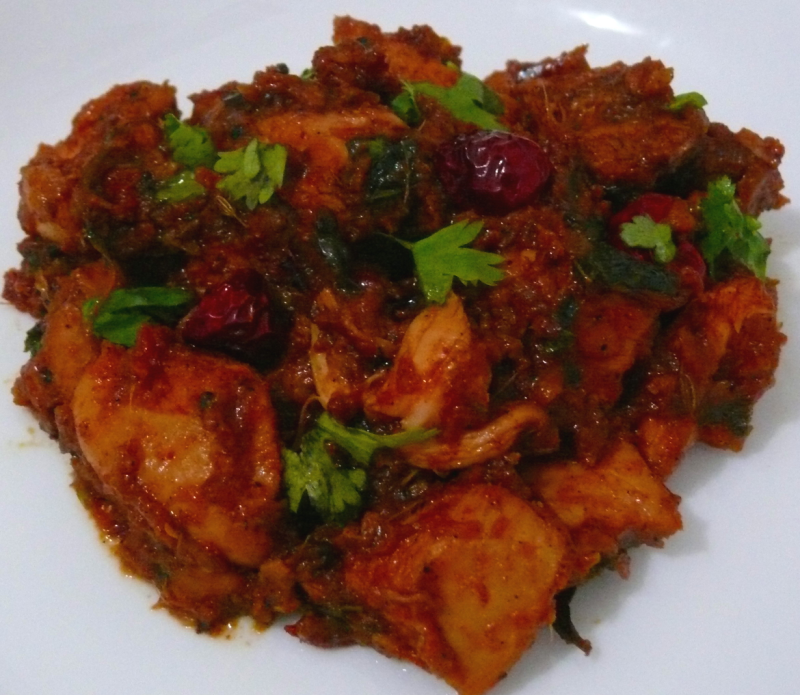 very delicious and tasty dry Chicken dish to try on special occassions. Heat oil in a Pressure Pan and fry fennel seeds , whole red chillies and chopped curry leaves. Put chilli powder,dhania powder,turmeric powder,ginger-garlic paste, needed salt,onion paste and tomato paste one by one in order and saute well. Put boneless Chicken Pieces next and mix them well in the masala and pour 2 cups of water and close the lid of the pressure pan. Cook it for 10 minutes or upto 4 whistle.Then remove the pan from the flame and keep it aside. After 10 minutes open the pressure pan and put it in flame again. add chopped coriander leaves and saute for 2 minutes until it becomes dry. Serve hot with rice .very tasty chicken preparation. Add 2 tsp tomato sauce or 2 tsp tomato ketchup 2 mins before turning off the flame, if you want it tangy.